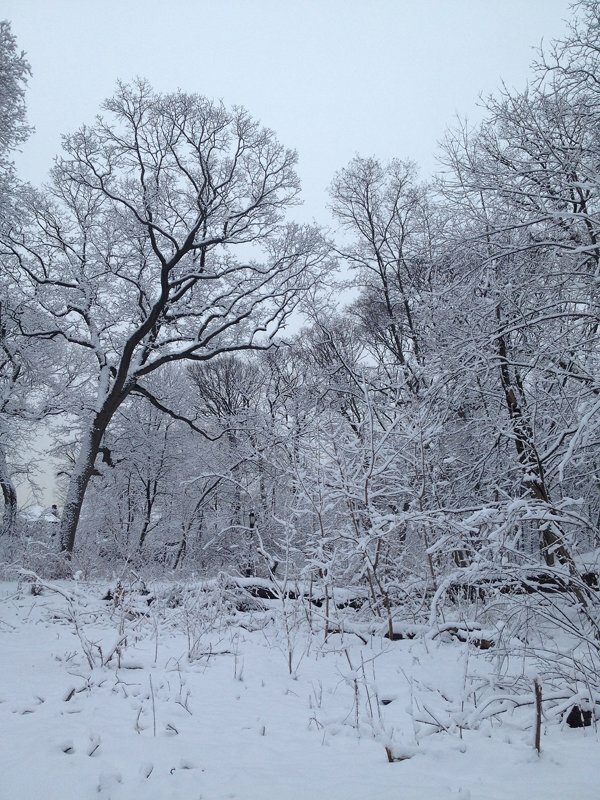 This past Friday was the first day of spring in the northern hemisphere. Not that any of us in New York City noticed as a snowstorm started in the afternoon that ended up dumping about five inches of snow on what become snow-free city streets. 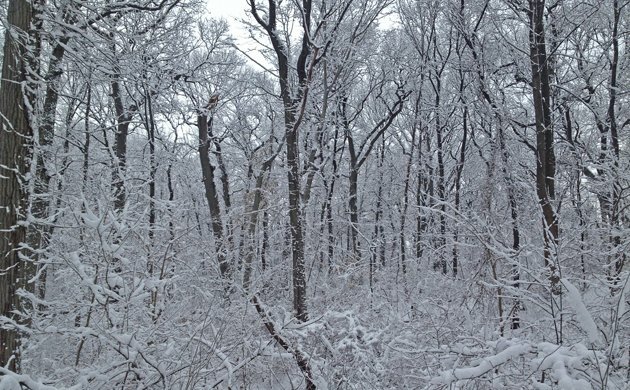 It had been a long, cold, and snowy winter and getting a snowstorm on the first day of spring just seemed fitting somehow. Rather than moan and complain about it I decided that I would use Saturday morning to check out the Forest Park feeders and see if anything interesting came in to find food with natural food supplies buried under the snow. 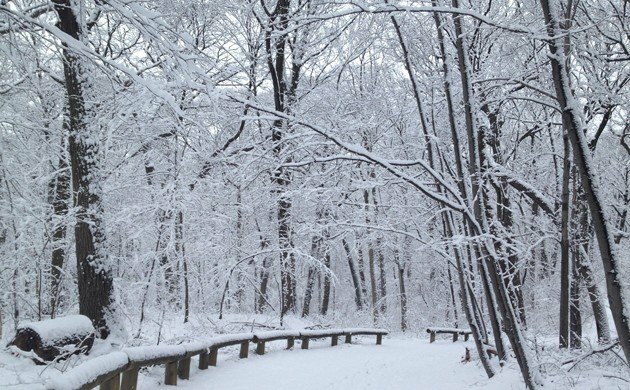 It was a picturesque snowfall, with the warm temperatures that preceded it causing the snow to stick well to everything. Am I ever glad that I did visit the feeders! 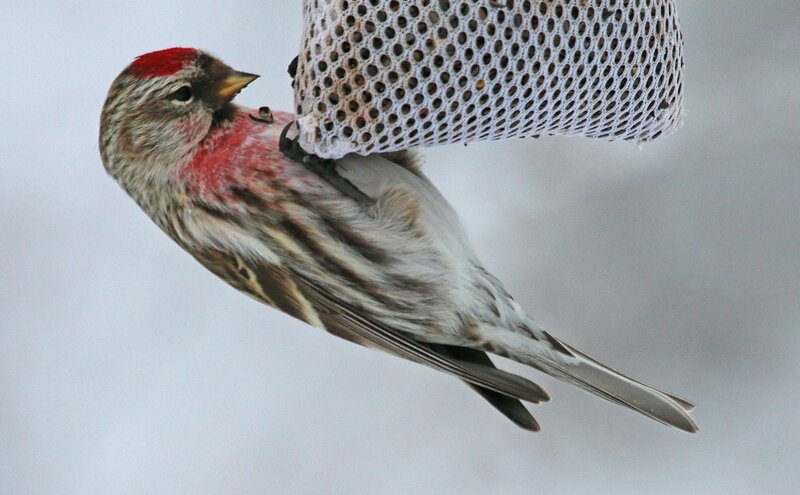 In addition to the hordes of Red-winged Blackbirds that descended on the feeders and all of the usual species we finally got our first Common Redpoll of the year at the feeders and it was a particularly photogenic bird. 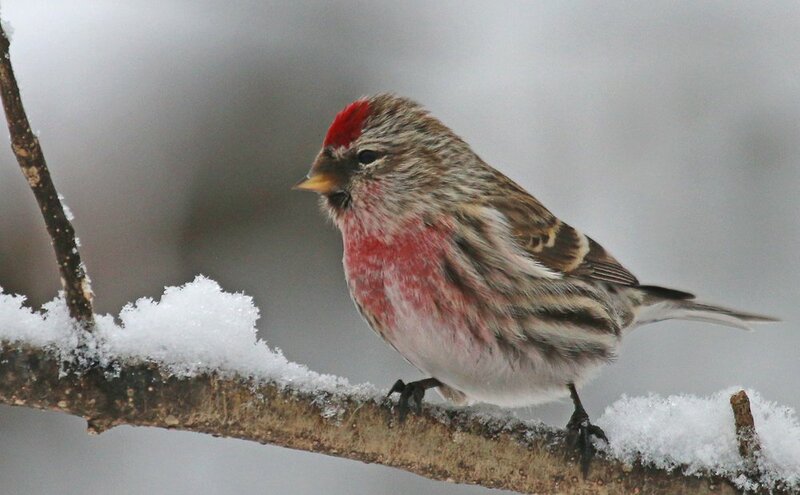 Nothing wrong with enjoying a winter finch in spring. 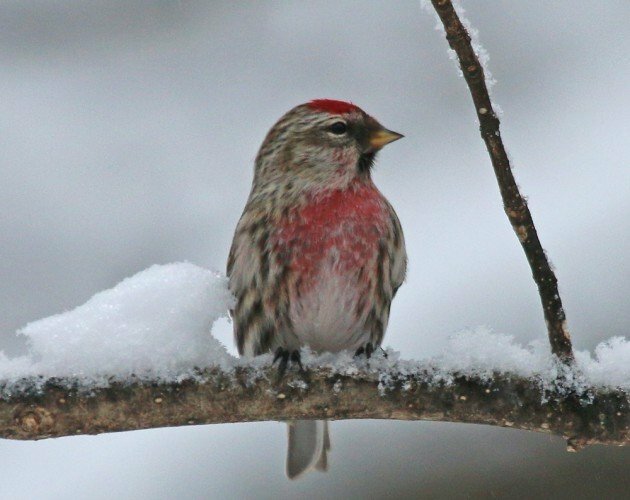 They may be “common” but redpolls are very pleasing to the eye. Their table manners leave a lot to be desired though. When I wasn’t admiring the redpoll I was actually enjoying the sight of the snow. Well, I enjoyed it when it wasn’t falling off the overhead branches down my neck. I also decided that this would be my last chance of the year for a stereotypical bird photograph. So I took that chance and that shot. Not the best shot at all but it doesn’t have to be. 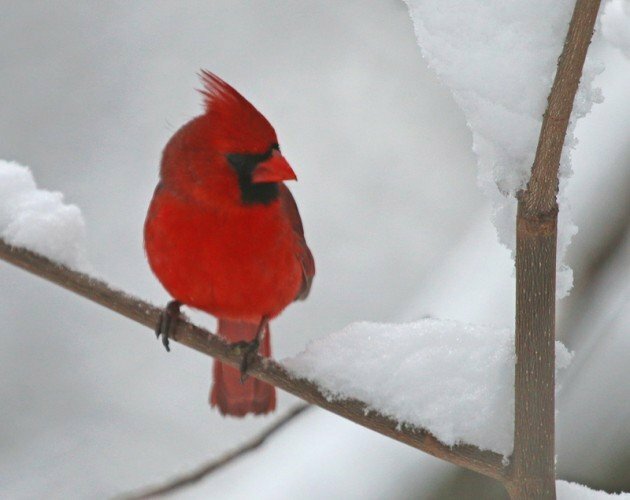 It’s a Northern Cardinal in the snow! 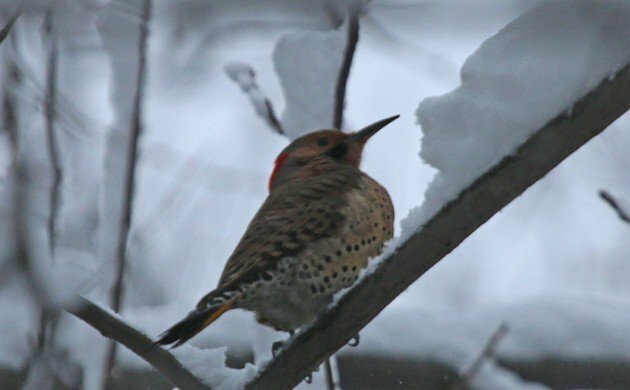 But perhaps even better than the redpoll or the cardinal 0r the snow was learning that the Northern Flicker that made the brave decision to winter in Forest Park made it through thanks, undoubtedly, to the feeders. Another not-so-great shot but this flicker deserves recognition for surviving a very harsh winter. 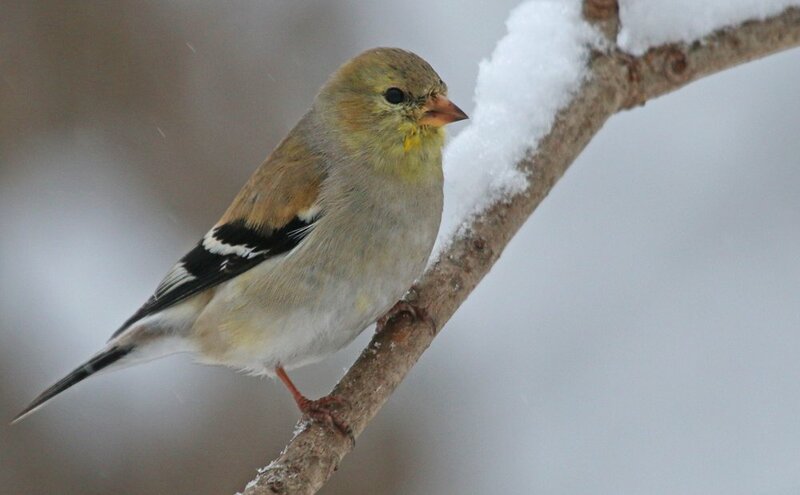 This American Goldfinch has had enough of winter as well. He kept getting pushed around by the redpoll and he would be perfectly happy if his northern cousins returned to their homes.